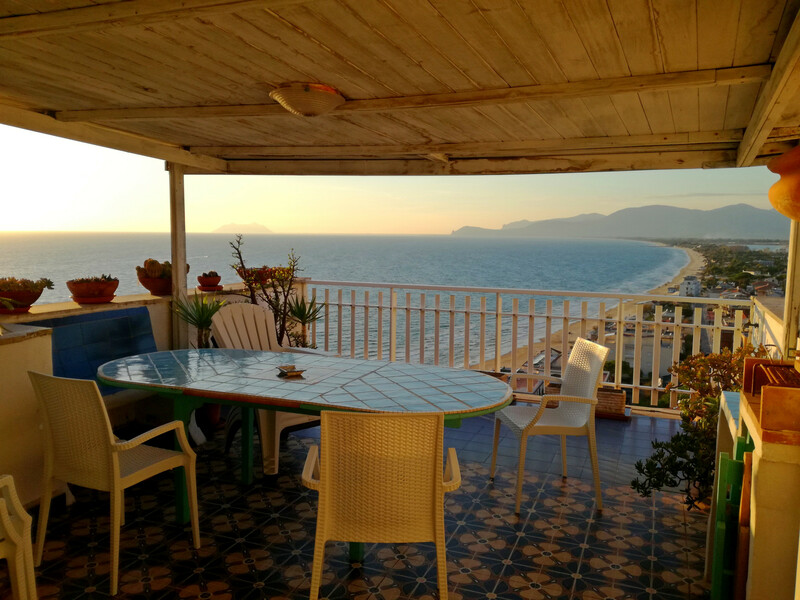 Casa Celeste ist eine der prestigeträchtigsten Apartaments im historischen Zentrum vom Sperlonga, mit seiner zauberhaften Terrasse mit Blick auf 15 km Sandstrand an der Riviera di Ponente “Westküste”, mit unvergesslichen Sonnenuntergängen auf dem Circeo Vorgebirge. Hier kann die atemberaubende Aussicht und Momente auf den frischen luft in vollen Zügen genossen werden. Etwa 30 Meter von der bezaubernde Piazzetta” dem schönen Wohnzimmer des Dorfes” entfernt, betreten Sie das Haus durch eine Typische Gasse zwischen den Restaurants und traditionellen Geschäften.Die Stärken dieser Wohnung ist zweifellos die Lage, die erstaunliche Terrasse die tagsüber als intime und private Sonnenterrasse dient und in der kühlen Abendstunden zum idealen Ort wird, um am Grill zu kochen, in gemütlicher Atmosphäre zu speisen. Alles deutet darauf in, dass man sich zu Hause entspannt ohne zu bedauern nicht an der Strand gegangen zu sein. Die Wohnung besteht aus: großen und hellen Wohnbereich mit Balkon und Panoramafenster mit Meerblick. Es besteht aus einer modernen und gut ausgestatteten Kochnische und einem Wohnzimmer mit zwei Einzel-Sofabetten. -	Neu renoviertes Badezimmer mit Duschkabine. -	Zwei Doppelzimmer eines mit einem Panoramabalkon und das andere mit Blick auf die innere Gasse. -	Teilweise überdachte große Panoramaterrasse, gut eingerichtet und dank einer bequem Wendeltreppe erreichbar. Ohne Klimaanlage die Wohnung hat dicke Wände die, die Räume kühl halten, augestattet mit Ventilatoren. offene Küche (gemixt: gas und elektrisch), Kühlschrank, Mikrowelle, Backofen, Gefrierschrank, Waschmaschine, Spülmaschine, Geschirr/Besteck, Kochutensilien, Kaffeemaschine, Toaster, Wasserkocher und Saftpresse. direkt am Strand, Meer, Berge, Sporthafen. Great for two families. The view from the window magnificent. Stairs are safe and parking is quite close. I would highly recommend!! !Thank you very much! The balcony view was really amazing!!!! There is a window between rooms and and light in one room reveals brightness in the other. When someone has a gentle sleep, the light in the other room can disturb. Maybe some curtains would help. It could be helpful to write which room has a balcony . quattro giorni splendidi a Sperlonga. Miei amici e me abbiamo passato quattro giorni splendidi a Sperlonga. Serena era un hospite meravigliosa. La comunicazione era facile e lei ha risposto subito. L'appartamento era tanto pulito e confortevole. 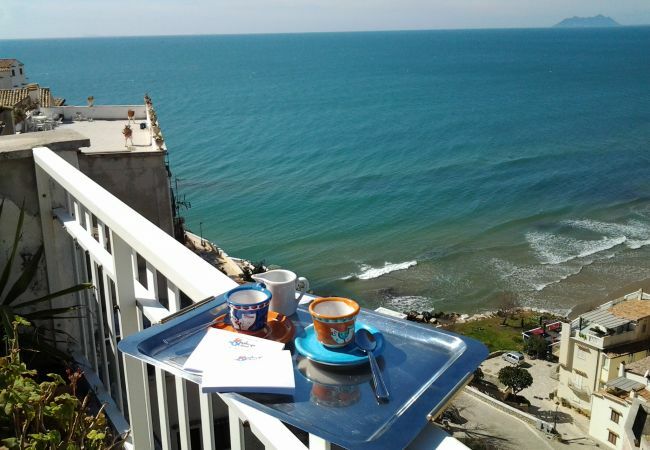 La terrazza con vista mare è fantastico! Luogo è stato perfettamente in centro storico. Tutte le ristorante e Bars sono a qualche piedi. Siamo contenti di tutto e consigliamo vivamente! La vista favolosa che si gode dalla splendida terrazza e la gentilezza e la disponibilità della Sig.ra Serena Trani di Sperlonga Resort. Non ho particolari osservazioni da fare perchè mi sono trovata molto bene. the appartment is very spacious and has a splendid view and terrace. It is comfortable and offers a lot of usefull tools: washing machine, dishwasher, microwave, freezer, cleaning product,...There is no airco but most of the time, it stays cool. The appartment could do with some freshning-up. Several things are broken (washing machine is leaking, shower,...)have had their best time. It is a beautiful appartment but it has to be kept beautiful and to do so, it´s time for some renovations! Very nice location and great servicemindedness by Serena and Rocco. Serena's place is located in a quiet spot, but near everything: beautiful scenic views, quaint walkways, excellent restaurants and good food! Plus a small market is near by. Lovely experience in Sperlonga. Thank you so much for responding to quickly to our questions and helping us whenever we needed it. Old Town Sperlonga is simply divine and a wonderful place to stay. 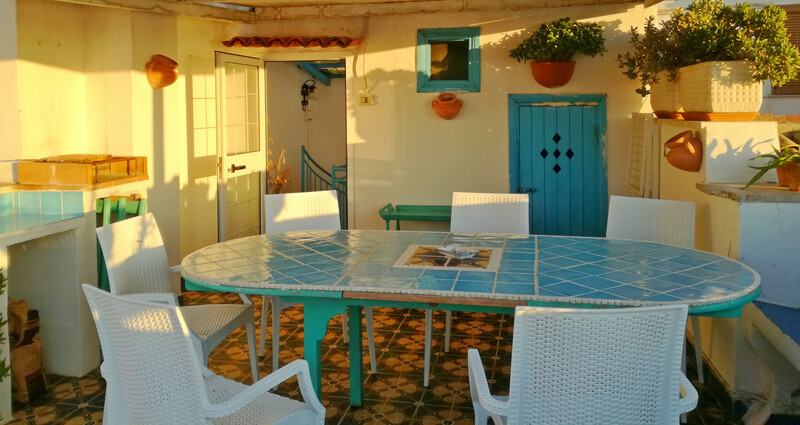 Amazing views, charming town, lovely beaches, being at Casa Celeste is a breath of fresh air. Serena and Rocco are very welcoming hosts. Location - wonderful view from balcony, quiet, central in old town, clean, comfortable apartment, good service, good info provided. Highly recommended! Beds were quite hard (can feel the springs) - simple remedy is a foam top mattress - sheets could be better quality as well (small things, but make a big difference!) Maybe provide some tips on how to keep the mosquitos out (not your fault of course), but if there are tricks to fewer bites, than would be helpful. 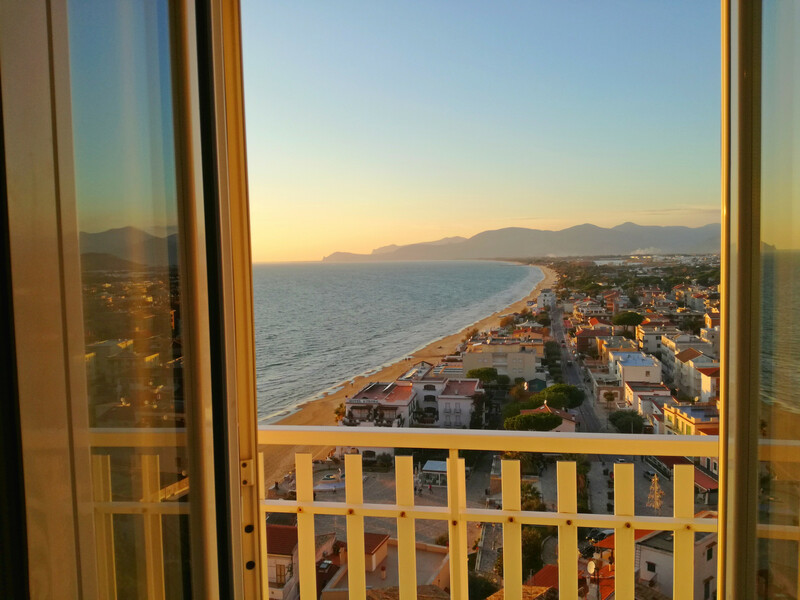 Once again: the perfect place with the best view in Sperlonga! Wifi was poor - the Provider obviously had technical problems. And: you need some other, more stable and comfortable Deckchairs. 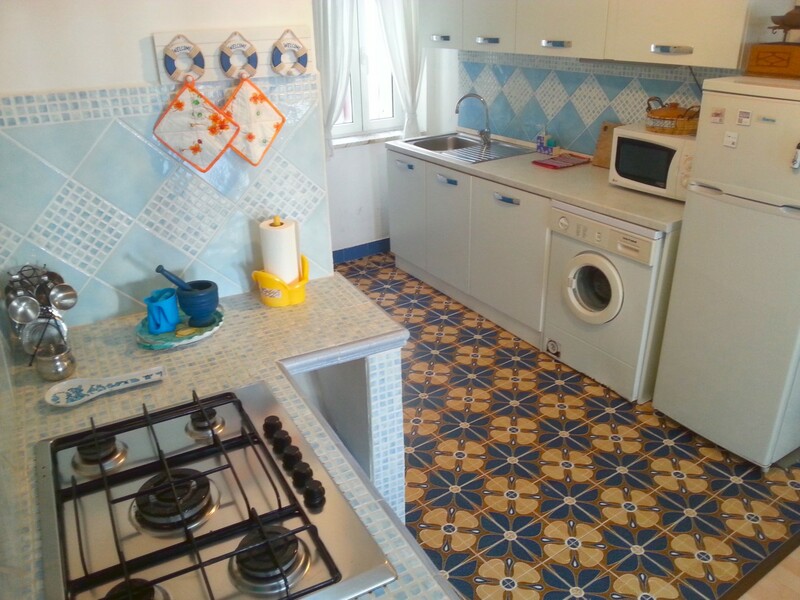 Casa incantevole e accoglienza calorosa da parte di Serena e Rocco, sempre disponibili. Il valore aggiunto della casa è il terrazzo con vista sul mare. La descrizione dell'annuncio corrisponde bene alla realtà. Ben posizionata se si vuole essere al centro del paese ma da considerare tanti scalini e salita ripida al ritorno dal mare. Per rendere il soggiorno ancora più gradevole, consigliamo: - tende coprenti in camera da letto e salone (purtroppo la luce ci costringeva a svegliarci alle 6 di mattina...) - materassi più duri per un riposo ottimale - cambiare la moka che perde. We loved the location in Sperlonga´s medieval streets and with a fabulous view of the beach to the northwest. The open plan sitting room and kitchen was very comfortable and we used the roof terrace whenever we could. Serena was very welcoming. 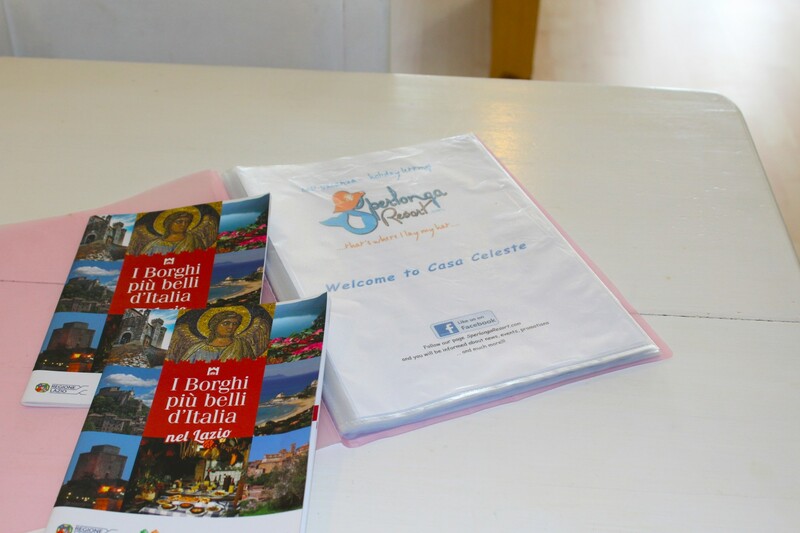 It´s a great base for exploring the area, visiting the ruins of Pompeii, paddling and swimming in the sea. The beaches at the Circeo national park were particularly good and Montecassino and the cave at Pastena were fascinating too. The shower cubicle leaks a bit and probably needs replacing. A new chopping board would be good too. The perfect apartment to enjoy the beaches and the historic city. We just love Casa Celeste. Everything is wonderful - even better than on the photos! Casa Celeste is a dream come true. The apartment has inspired many paintings since my first stay over 5 years ago. While this was a return visit for me, it was the first visit for my 11 year old nephew. When we walked into the apartment he gasped: "this is the most beautiful place I´ve ever been to!" When we went up to the terrace and gazed out at the unparalleled view he said: "PERFECT!!!" 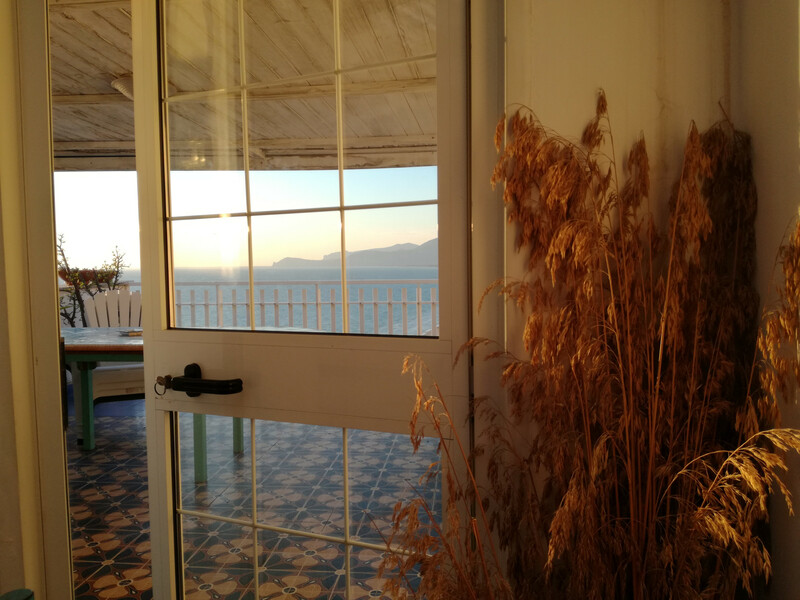 La casa è molto bella (sopratutto la vista su sperlonga) e molto bene posizionata. The friendly face of Rocco was our first introduction to this beautiful little town assisting us up and down the many steps, many laughs along the way and to be met with a lovely, quirky apartment with a bottle of wine and gorgeous fresh fruit, just made our day. The apartment is perfect in so many ways, great location, the view is stunning, it is well equipped and full of character. We plan to return soon, maybe even later this year! Dear Serena and Rocco, we are so glad that we stayed at Casa Celeste. The views and sunsets were beautiful, the kitchen worked great and the location in the Old Town was perfect for us. Thank you for your quick responses, help getting our luggage here, the fresh fruit, wine, and desserts our last night! We also appreciated all the maps!